This is our former client - RMB Private Bank’s experience of Care and Growth™, presented by the former CEO Sean Farrell and former head of HR Cilette Harris. The following material are from the Schuitema Colloquium held in Johannesburg on 24 June 2013. We needed to throw more money at Schuitema. Sean Farrell: I will share with you why, when I took over as CEO of RMB Private Bank, we needed to throw more money at Schuitema, despite the world collapsing around us (as this was the time of the 2008 financial crisis). Then I’m going to talk about what we did, the “hows”. The theory is great but there is some essence which we can share on how to do it. The blue sky strategising is easy, the “how” is more difficult. Fundamentally, Care and Growth™ revolves around employee engagement. An article in The Times of Britain on 12 June 2013 reviewed an open letter to The Times in November 2012 from 40 prominent business people from diverse organisations like Sainsbury’s and BAE Systems. The business people stressed the importance of employee engagement to the UK economy in terms of performance and productivity. They said that only a third of people are fully engaged at work, and the economy is losing huge amounts as a result. Research had shown an irrefutable link between effective employee engagement and business success, and customer satisfaction. They said employee engagement is not just a job for HR. It must be owned by everyone in the business, at whatever level they operate. It should be the lifeblood of the organisation, felt in everything that you and your employees do, they said. It must start at the top and filter through the organisation. The positive beliefs and attitudes which define employee engagement are rooted in employees’ feeling that their organisation cares for them. To really bring about a shift in employee engagement, CEOs and top teams need to show employees that that they care and that what they do at work is really worthwhile, they said. Lastly, gaining employee engagement is a long-term process and is not about a quick fix. This material, from the UK, lends some weight to what I have to say. I joined what became RMB Private Bank in 1998 and spent 12 years with the group. In 1998 the organisation was called Origin; it was a small, disruptive organisation which focused on pricing of credit. Michael Jordaan was the CEO. RMB was an innovative organisation - at the same time as Origin was formed, Outsurance and Discovery were formed. Origin started in the credit space; it then went into some transactional banking around a home loan product; and then merged with a business called Ansbacher which brought more transactional banking and portfolio management capabilities. It was rebranded in March 2003 to RMB Private Bank, as a private bank with a wealth management practise and some offshore capabilities, etc. So, through that period, there was a lot of growth and a lot of change. We often say that change is a constant in our business. But because of the rapid change, you found people getting into positions of authority before their time – for instance, there was a top sales guy who we thought would be a great sales manager, but he failed dismally. We had to learn through the process. How do I make a difference in this group? Sean Farrell: We had a young leadership team. The one thing that First Rand (the top company) really got right was the empowerment and accountability relationship. This meant we had the full backing of the big First Rand mothership, its balance sheet, etc. Provided we were operating within our budgets, we could literally do what we liked. If we wanted to take the business this way instead of that way, we had that authority. Every year or every six months we reported back to our shareholders – at the First Rand exco, we had to explain what we had done and why (which was where the accountability piece came in). When I took over as CEO, RMB Private Bank was a growing and successful business. I had been part of the leadership team for about eight years, and when I succeeded Willie Meyer I didn’t have radical ideas about changing the business - unlike most transitions, where a new CEO comes in and everything the previous CEO did was rubbish and “we must go this way now” and everything collapses. Investec had always been number one in private banking in South Africa. And they proclaimed this to maximum effect - every January/February, when the surveys came out, they would be number one and they would put it in their ads. They put all the banks in their ads, in relation to the other banks, giving us the finger because we were at number two, year in and year out. So when I took over, the strategy was very simple, in two pillars. One would be an absolute obsession with the client. Without a client, there is no income coming through the doors and we don’t have jobs. The second focus was development of our people. We had all these young people, and I include myself. What did we need most? Not to send them overseas, or for them to get MBAs, which would not make them better managers or better bankers. I actually needed more rounded people, including myself, who could then be better human beings, who could then be a better leaders, and therefore better people to work with. Some background: the people in private banks are highly qualified, highly skilled, with expensive packages. They are in demand and there is a shortage of them – there is a skills shortage in this industry second to none. If they don’t experience a decent value proposition in the workplace, headhunters will phone every single month. Initially we were annoyed that headhunters were phoning them; later we realised that if headhunters were not phoning, then we didn’t have the right people in our organisation. But that puts the pressure on the leadership team to find a way to retain those people. It only takes one bad incident for them to go for an interview. Money wasn’t enough to keep them, you had to develop an employee value proposition. The money was almost a “ticket to the game”, but the value proposition was how you retained them, and attracted them. In a growing business, you needed to attract talent – our growth was limited only by our ability to attract top talent. Sean Farrell: Care and Growth™ played a major role in both pillars of our strategy. I became quite passionate about it, to the point where I changed our performance appraisal templates and put in a section on Care and Growth™. In other words, I required practical examples, on a six monthly basis. On the “obsession with the customer” aspect, we developed the concept of an upsidedown hierarchy where the CEO was the least important person and the client-facing people were the most important. I used that concept every time I spoke to the organisation and every single month, at the induction of new people. Always, I reinforced the fact that actually the clients are at the top of the organisation because without them, none of us has a job. At the next level of importance is those people who touch the clients – typically, front-line people. I was able to demonstrate to the people in the call centre, the tea ladies, the receptionists and the drivers, that they see more clients than I see on a daily basis, so they were more important than I was. And I honestly meant it. You want to make sure that they look good, and that they have the coffee machines and cars working, etc. You have to instil that belief in them that they are important because they are touching clients. If the tea lady comes into a meeting with the client and spills the coffee and is rude, it’s wrong. With this concept, you can have a conversation with every single employee in the organisation around his/her client touch-points. People think that the back office doesn’t touch clients, but they do in a very direct way. With an instruction from a client to the sales guy and then to the back office, when the back office person enters the bank account details wrong, or the payment amount wrong, or the payee wrong, and the payment doesn’t happen, you have ruined a relationship. When they are working, they must have a picture in their mind that there is a person out there who is trying to make a payment, so they are fulfilling a very important role. These were the kinds of conversations we had around instilling obsessiveness about the client. And I reinforced that every time that I spoke to employees. We started implementing client satisfaction surveys, which is not a great thing to do in private banking because clients are busy and they don’t want your phone calls. But we tried to explain to clients that we were trying to enhance the service levels. So there were some learning there, but the intention was clear. By law, we had to maintain a complaints register. But we never had a compliments register. I implemented a compliments register. In the first few months, it was very quiet. Later, those compliments came pumping in – at one stage we were getting 60-70 compliments a month. We had a private bank call centre, which was somewhat unique, but again it proves the point. Sean Farrell: On people development, we had skilled, younger people who knew banking inside out. But we were all, including myself, maybe a bit young and immature when it came to leading businesses. Cilette Harris was the marketing head and became the HR head. I saw the HR head as a strategic position, not a soft, lovey-dovey feeling position. For us to take on Investec, we had to have the best people in the industry, and the best value proposition. So everyone asked: how did we develop people? Before I took over, we had done some work with Etsko and Wendy, but it had drifted for a couple of years. When I took over, I said we need to get serious about Care and Growth. Something about it resonated with me. So every single manager and leader went on at least one workshop, but many of them went on three or four. Etsko and Wendy then developed a “lite” model which was called “Grow to Care”, which we put our staff through and which exposed them to these concepts – that your manager is there for you, not there to control you but to grow you and care for you. And caring means making sure you have the means and ability – that you have the right tools to do the job. And actually, he/she wants you to succeed in the organisation, not keep you down and just get an output from you. The danger of exposing the staff to that is that the staff develops an expectation of different behaviour from the managers. So, where the managers embraced Care and Growth, it was fine and those divisions, and the people in them, flourished. But where the managers didn’t embrace it, the people on the ground became disgruntled because they would look at another division and say that they would be happy there, but in their division, it wasn’t happening “so when I see Sean I’m going to tell him all about it” because he believes in Care and Growth, so he’s actually concerned about my well-being. So when I went to a function, these dissatisfied people would bypass intermediaries (which was great) and I would spend the first half an hour fielding questions like “Did you know that the values aren’t being played out in this area?” That was great feedback and I never once killed the messenger, though my exco colleagues might say that I was fairly ruthless with them. I would listen to the staff who came to me with issues and take it back to my exco. I can recall two people on my exco who didn’t get Care and Growth and left the organisation. I had to have courageous conversations with them because if I believed in this thing and I was insisting on my leadership team implementing it, but I was not actually implementing it with them, then the credibility and integrity of the process would go out the window. So we then also embarked aggressively with Etsko and with the Personal Excellence course, which is a 5-day cellphone and technology escape session. It is highly recommended to everybody. It changed the way I see the world quite fundamentally, from being a hard-nosed accountant driven by numbers. It was one of the most incredible experiences of my life. I tried to get most of my exco to go on that course – some of the people weren’t ready, they were too attached to their cellphones or they were scared to actually face up to what it is to be a human, a person who is may be looking for a bit more significance as opposed to only success. So the key people around me went on that course and came back with a different view about the success of any team being around growing everybody in that team and extracting value from them as opposed to keeping them down and controlling them. Every month Angela Donnelly ran a very successful induction programme which all new employees had to do. That programme included a values discussion, exposure to Care and Growth principles, and a one-hour meeting with the CEO. Some of my colleagues who were CEOs in their segments delegated that meeting to their 2ICs or whoever was available, because they were too busy. I think I missed only one, or we postponed it. That was a vital meeting for me to look every single new employee in the eyes and tell them what I expected from them and what they could expect from me. “Attitude” was the one word which would determine their success in the organisation. No organisation is perfect and when you get to your desk on Monday and some things are not working, what do you do? Your attitude drives your behaviour – do you throw your toys or do you find a solution? That was the kind of conversation I had with everyone. I also said, “the values and culture and the way we operate here are very different to elsewhere, and if it’s not for you, please leave”. Which is quite a strange thing to hear from the CEO, just after a person has joined the company. But I was serious about it, because if you are unhappy in your organisation, why poison the people around you? Rather go and be happy somewhere else in a better environment for you. People knew that they were cared for, but if they didn’t like it, they should leave because we would very quickly find them and weed them out. We had many courageous conversations – so Care and Growth is not lovey-dovey or feely-touchy. Etsko often used to say, when we found someone doing something fancy behind-the-scenes, “parade them and flog them in public … make examples of bad behaviour, because the more you make a public example of bad behaviour, the more people say ‘I don’t want that to happen to me’." At the same time, reward those who are doing excellent work. It’s not about bonuses, though that has to happen, it’s about the public thank you. I would go to the contact centre on a quarterly basis, but before I went I prepared by checking how many compliments each person had received from customers. The first thing I did when I got there was to pat those people on the back and say well done. So as much as you hammer the people who are messing up, you also validate. When someone was dismissed we used to share what happened and then people would know that they may not do that. As much as the photocopier is there and it’s calling my name to get that client’s signature on a new document, actually, I can’t do it because I’ll be dismissed if I do. We had our ups and downs and challenges. Towards the end of my time we started with Leadership Forums. If you have a superior-subordinate relationship for a period, eventually you stop learning from it because you come to know how that person operates, what makes them happy or sad. The Leadership Forum was meant to bring managers and leaders from different areas of discipline together. There was a forum leader, and you would try and extract the wisdom from that group. What are the issues affecting you in sales or in the back office? Communication is often the key to solving problems and through the forums there was a transfer of learning and leadership ability. If someone was having a difficult situation, others would relate their experiences, without the threat of a reporting or superior-subordinate relationship. We also tried to do the coaching thing, but I left in January 2011 before it could become effective. Looking back, it was a journey of learning. We started with Care and Growth™, then Grow to Care, then the Leadership Forum, then the Coaching. As you become more familiar with the content, you can start delving deeper into enhancing capability. I was CEO for four years and just after I left, Euromoney produced the rankings and RMB Private Bank took first place from Investec. I didn’t know it was going to happen, but we had achieved what we had set out to do. RMB Private Bank maintained that ranking for another year thereafter. I left for various reasons – one was because after 12 years in one organisation, and with everything working well and the customers happy, that is the time for a CEO to leave. Because now there’s only one way to go. You are going to get complacent. Ripened fruit can only do two things: it can fall to the ground and rot or it can get pulped and made into something different. I didn’t do want to fall to the ground so I went off and I have been pursuing a more entrepreneurial career. Sean Farrell: What happened thereafter – and this is a matter for the big conglomerates, because I had no say in who took over from me - the person who replaced me was a command and control-type person, not a Care and Growth person. And a very, very quickly, the DNA of what we had spent seven years building was changed. Through Care and Growth, you fundamentally change as a manager and as a person. The world is then very different. For those managers to go back to a command-and-control relationship is very tough. I couldn’t do it, and the bulk of my management team could not. They all left. What takes a long time to build up can be undone very, very quickly. That is a cautionary health warning with Care and Growth. When you fundamentally change like that you become a terrorist in the organisation, you don’t like what’s going on, you hate everything and you don’t care. There were a lot of unhappy people. RMB Private Bank’s ranking at the beginning of this year was down to fifth – the worst that it has ever been in its history. The health warning is that the succession plan is crucial; you can’t control that in the corporate if you are not at the very top of the corporate. Cilette Harris: I think the biggest realisation we had (when we were about three years into the process) was that this was not a training or a development-of-leaders process. This was a long-term process where we needed to create opportunities for individuals, and specifically for our leaders, to grow as human beings - to become leaders who others would be inspired by because of their values and because of how they would choose to put the agenda of their people and customers ahead of their own agenda. And that we as a group of leaders would gradually grow, individually and collectively, into a group that could first of all stand up for the decisions we made about our people, but also that we could hold one another accountable. So we realised that it wasn’t going to be okay just to have classroom-based interventions. This was a significant realisation. The other thing that we realised (and I now work with Schuitema as a consultant, but I still have to say this): don’t just rely on Schuitema for it to work. We at that point had been going for about three years and we had had numerous conversations on how we could take this forward so that our people could grow as people. Therefore we really encouraged people to grow on the Personal Excellence programme. I cannot over-emphasise this. Etsko gave us some guidelines at that point on how to determine which people should go. It is basically people who are throwing themselves into the process, people who are saying “I really want to grab this opportunity and immerse myself in the process in order to change”. Other criteria were people who we knew were pro-Care and Growth, and people who made a difference in the organisation – people who were influential. And to a person, people were changed by the process. I went on it twice. As I engaged with what I was and my values as a human being, as I started watching my own game, it suddenly became more visible to me how I could help the people in my team go through that same learning process. So a big lesson for us was: give people the opportunity to grow at a personal excellence level. Only once that has happened, will each human being in the leadership team change, and then the leadership group will start changing, and then our people will start changing. It happened in that order. Cilette Harris: Etsko mentored 40-50 of our leaders individually (the total staff was about 900 before the financial crisis). This, for me, was another significant gift that we could give to our leaders. This was not coaching, but mentoring within the Care and Growth and Personal Excellence framework. Initially, people were saying “I love this, but when I get busy, I will put it aside”. But by the third or fourth iteration of these monthly interventions, people would come to us and say “I need to check when my Etsko session is”. Angela Donnelly then came up with the idea: how do we change the conversation about our business, between our leaders? Because if you went into any exco in the beginning, the conversation would be all about what we should change in terms of processes or offerings or products in order to put results on the table. Very rarely would time be spent talking about where our people were going to. Then Sean said: “Now it’s a people focus.” But we realise that this wouldn’t happen spontaneously or overnight. So we created opportunities where leaders facilitated the Leadership Forum, not HR people (although the HR people were all trained facilitators). We selected leaders and Etsko and Sean then worked with the first group of leaders, and as we learned, we started facilitating other groups of leaders. There were eight forums and about 70-80 leaders. The forums operated with context and content that we provided, but with their own agenda. So it was a safe place where leaders could come to. The one proviso was that this was not a place that we would talk about results; it was a place where we would talk about ourselves as leaders and how we wanted to care and grow our people. When I joined the bank in 2003, the average age of employees was 28. By the time I left in 2011 with Sean, it was 35, so we made some progress there. It was about recognising that we had lots of young leaders. We were really good at the Care thing, I think we had a great culture and if anyone asked someone else will help, it would always be there. But we were not great on how we structured how we grew people - and we were a little proud that this was an environment in which you would have to swim or sink. Also, at the start of the process, we did a leadership assessment and individual sessions that Etsko had over and above the mentoring sessions to ask where each one was in terms of their leadership competency, and where they needed help. We put all of these results together and then realised that we needed to focus on coaching. At that point we planned out an entire series of content application modules to follow, to give people new content and tools and to assimilate these into their everyday working environment. What have I learnt and how I am I applying it? And therefore how are my people changing and growing? And how are they more empowered because of the way that I have changed? Cilette Harris: Sean played a huge role. I can’t overemphasise how serious Sean was about his own growth and how inspiring to us this was. For instance, in one budget session, Sean said to me, “If I go into my old mode, and I’m not in Care and Growth mode (which is not a soft or nice mode, but which holds people accountable), then kick me under the desk” – and I did! I also knew that Sean held me accountable. Our monthly one-on-one sessions also changed a lot from only being about results and marketing or results and HR, to “How have you grown, where are you at?” Who doesn’t want a boss like that? In one case, Sean had the courage to haul one of our junior leaders off the programme and had the courageous conversation with him, saying, “You are no longer on the programme because you will never accept Care and Growth, you are fighting it and challenging it.”. And that person eventually left. So Sean was prepared to hold accountable, first of all himself, and then all the people on his exco. And not only hold us accountable for the contribution we could make to the business, but for our Care and Growth™ contribution. And we learned that this was not a process that HR should own. But also that you should never exclude your HR people from it. We had a very good, strong HR team who were already making a very significant difference. It was very important that the business leaders and HR went through this process, together, so that when the moment came when decisions would be made about how to deal with certain situations in the business, HR could use Care and Growth™ principles. If there’s a gap in the business practices that HR advances and Care and Growth, it really slows the process down. Another lesson was to lessen the control that that HR has in the business and to hand over many of the decisions which leaders would previously have looked to the HR department to make – for line to make the decisions, only asking HR for advice on “What do you think we should do in terms of Care and Growth™?” It’s a small change, but it’s about HR not owning the process. In hindsight, the only thing that we underestimated - and this is still something I don’t have an answer to - was that in spite of all of the work that the leaders put in, in spite of the length of the process, it was very disappointing that once the senior corps of people who had embraced the process left, that the impact that a control leadership style can have so quickly, was just amazing. This is still something that we grapple with. RMB Private Bank is the investment banking division of FirstRand Group, offering a range of services including Portfolio Management, Trust and Fiduciary Services, Wealth Management and Transactional Banking. The FirstRand group has its headquarters in Johannesburg, South Africa, with subsidiaries in five neighbouring Southern African countries, as well as in Australia and India. Sean Farrell has previously been the CEO of RMB Private Bank with which he worked for 12 years and is considered to be an extremely instrumental figure within the private banking division. 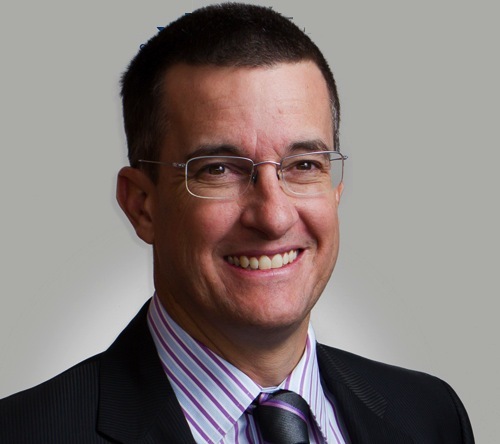 He is a qualified Chartered Accountant whose career began at Deloitte in 1991. He took up a position as a project accountant in the corporate finance team at Automakers. His interest in the financial services industry began in his last year at Automakers while he was head of Treasury. In 1998 Sean joined Origin, now RMB Private Bank, and departed as CEO in 2011 after four highly successful years at the helm. Sean is currently an Executive and the Chief Financial Officer of the Hereford Group. Cilette Harris is a transformation consultant specialising in personal, leadership and team excellence, enabling people to grow through achieving the core business objectives of their employers. She facilitates group processes such as strategy and business development, decision making and conflict resolution. Her offerings are aimed at increasing the success of organisations by enhancing individuals’ and teams’ ability to willingly contribute more than the average employee, resulting in improved performance, team work and morale. Cilette has 24 years’ working experience, specialising in Organisation Development, Leadership Development, Human Resources and Change Management and Training and Development. She has held several senior management roles and served on various executive committees during her corporate career. As an associate of the Schuitema Human Excellence Group, Cilette offers expertise in the Schuitema Intervention Process that promotes personal, leadership and team excellence. She has extensive experience in its Care and Growth™ leadership model. For further information on Schuitema and its various interventions refer to www.schuitema.co.za. Cilette’s facilitation experience is one of her core skills. Her toolkit includes strategic planning, process and content facilitation. She is also an experienced Deep Democracy facilitator. This methodology builds relationships, facilitates rich decision making and surfaces people’s wisdom and experience. It is also used to resolve conflict between individuals and in groups. This allows teams and groups to grow together and to implement objectives and decisions successfully and sustainably. Cilette also offers a simple yet effective transformation methodology which, coupled with her facilitation skills and human excellence offerings, assist organisations to achieve their strategic and operational objectives by enabling their people to participate in transformation and to influence outcomes positively.